Shelley joined four other speakers at the Women's Empowerment Luncheon July 15 in Smyrna hosted by the Phelps Financial Group of Kennesaw. 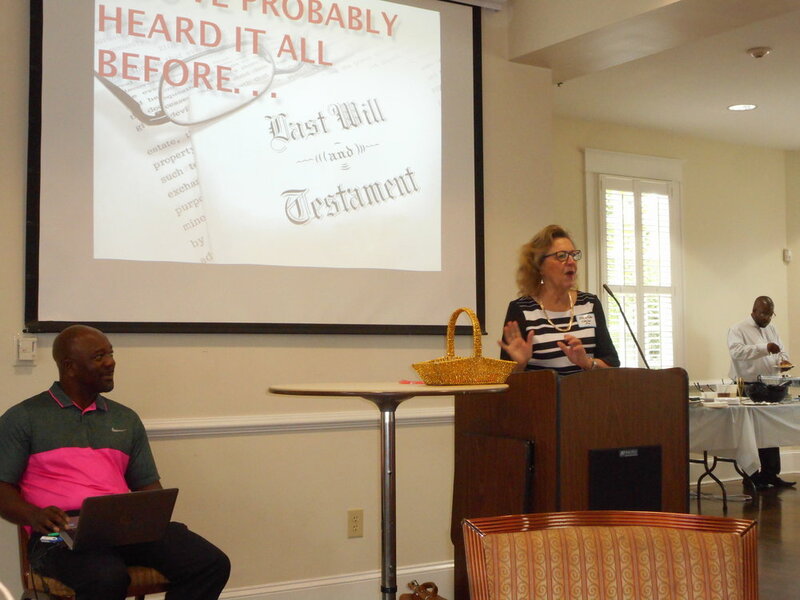 The dangers to yourself and/or your heirs could and should be avoided by ensuring that one has a sound will written with a strong understanding of Georgia estate law, she said. Specialty expertise is needed beyond a law degree, said Elder, to avoid probate court and potentially emotional and divisive disagreements with family. Other speakers included Samantha Maxwell, CPA, MBA; Melva Robertson, The Write Media Group; Jennifer Randel, Wellness Director at the Northwest YMCA, and Kizzy Martin Bailey, communications specialist.